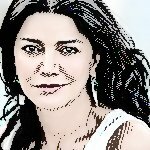 Oscar nominee Shohreh Aghdashloo is currently working on a film certain never to be exhibited officially in the Islamic Republic; she has the starring role in "The Stoning of Soraya M," about a woman falsely accused of adultery in an Iranian village in 1986. Aghdashloo recently vowed never to return to Iran because she believes she would endure severe scrutiny for the roles she has played. She said her family has no plans to return after having embraced American culture, adding that the governing regime in Iran resents her. "Their repressed Muslim government hates the fact that I am an actress. But they still [see] all of my movies, even though my films are not allowed to be shown there. But everything's under the table. Everyone sells on the black market. They get pirated copies, and then someone copies the copies." "The Stoning of Soraya M." is being directed by Cyrus Nowrasteh, whose family fled Iran after the revolution. He returned to the United States in May from a trip to the Middle East where he spent two months filming. "The Stoning of Soraya M." is based on a 1990 book by the European-based Iranian journalist Feridoun Sahebjam. The film stars Aghdashloo and American actor James Caviezel, who plays Sahebjam. Caviezel is best known to American moviegoers for his role as Jesus in "The Passion of the Christ." According to the Wisconsin State Journal, Sahebjam based his book on accounts related to him by residents of a small Iranian village where in 1986 a woman was stoned to death after being falsely accused of adultery. The book, published first in France and then four years later in North America, stirred much controversy. Some questioned if stoning in Iran-in the aftermath of the Ayatollah Khomeini coming to power in 1979-was as pervasive as Sahebjam claimed. Others cited the lack of verifiable facts in the story of Soraya. According to a Toronto Star review of the book, Sahebjam chose not to identify the village and changed the names of several characters. But few readers could dismiss the power of the book's horrific story, or the fact that stonings did indeed occur in Iran. Having read the book, Nowrasteh and his wife wrote a script based on it. The financing came together late last year and Cyrus flew to Jordan in December to search for locations to shoot. Nowrasteh has been a working screenwriter and occasionally a director for more than 25 years. In 2006, Nowrasteh found himself at the center of an even more heated controversy. He wrote the 2006 ABC mini-series "The Path to 9/11," a film critical of both the Clinton and Bush Administrations in the lead-up to 9/11. Many critics assailed the especially strong criticism of the Clinton Administration as a rightwing political hatchet job. The recent shoot in Jordan, in remote locales never before used for filming, proved to be a difficult task. Nowrasteh had invited Sahebjam, the "Sorayah" author, to visit the set, but Sahebjam died in France in late March, at 75, just days before he was to leave for Jordan. "That was shocking," Nowrasteh said. "Nobody has ever done a movie about this topic," Nowrasteh said. "I'm very excited." Aghdashloo is also working on another film, "In Northwood," which began filming July 21 on windy Mount Washington in New Hampshire. She plays a doctor in what is described as a redemption story centering on a man condemned to a mental hospital for committing murder. "It's an edgy film that takes place in a hospital for the criminally insane," said co-producer Mike Wittlin. "There's a little bit of a morality tale." Aghdashloo, 56, has performed in a wide range of films and television shows including, "House of Saddam," "Grey's Anatomy," "The Nativity Story," "The Lake House," "Will and Grace," "ER" and "24." Now in theaters is "The Sisterhood of the Traveling Pants 2," her most recent film, which opened August 8. Aghdashloo said, "The movie was like a breeze in the park for me because usually my roles are heavy or I'm a part of some tragedy. We filmed it in Greece, and I had so much fun with all of these young girls." Aghdashloo was a best supporting actress nominee for 2003's "House of Sand and Fog." That role moved her from a minor figure on Hollywood's fringe to a much-wanted performer. Although no one could pronounce her name, that and her unique breathy voice gave her an exotic cachet.